Narrator Jodie Foster introduces viewers to Alice, efficiently covering her background and family life and explaining how she found herself on the forefront of a brand new medium. As the secretary to renowned inventor and motion picture trailblazer Leon Gaumont in the late 1800s, Alice was eager to get behind the cameras and try out her own filmmaking ideas — ideas that led to the earliest known narrative films, like 1896’s “The Cabbage Fairy.” She succeeded beyond expectations, becoming Gaumont’s head of production and eventually forming The Solax Company — the precursor to the large Hollywood studios — in the United States with her husband, Herbert Blache. It’s estimated that she worked on more than 1,000 films, working as writer, director, and producer and introducing techniques that are still used today. So why, then, isn’t the name off this innovative, creative woman as well known as those of early movie moguls like Louis B. Mayer and Irving Thalberg? Take a wild guess. But in the course of making this engaging, informative film, Green sets out to change that, putting Alice and her incredible body of work in front of a wide range of well-known actors, directors, and other Tinsel Town types. To their credit, they all seem properly impressed — and, once they see her work, appreciative of the influence that Alice and her techniques clearly had on Hollywood moviemaking from Day One. Susan Wloszczyna: Alfred Hitchcock and Martin Scorsese are among her most ardent admirers. From 1896 to 1920, she directed over 1,000 films, with 150 that still exist and 22 that are feature-length. She was one of the first filmmakers to make movies with a fictional storyline and is thought to be the first female director ever. She was a co-founder of Solax Studios, which eventually was headquartered in Fort Lee, N.J., which was the epicenter of American filmmaking at that time. In 1912, she made the first movie, A Fool and His Money, to feature all-African- American cast. Read full review. Marilyn Ferdinand: History, they say, is written by the conquerers, and in the case of motion pictures, the winners are men. Against this dominance, women have begun to fight back, demanding an end to unequal pay, screen time, and opportunity. 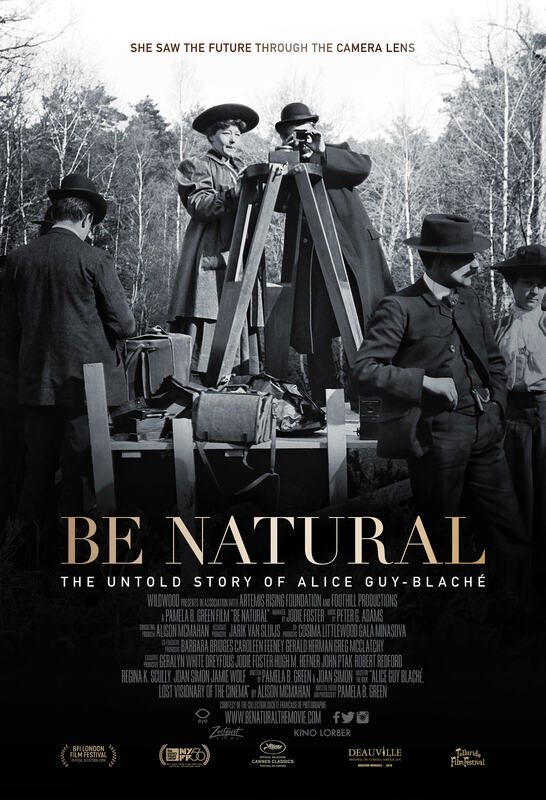 Director Pamela Green’s Be Natural: The Untold Story of Alice Guy-Blaché has arrived at the perfect time. [Full disclosure: I contributed to the Kickstarter campaign to fund the making of this film.] Green illustrates in bittersweet terms how many of today’s biggest names in motion pictures had never heard of Guy-Blaché, the first female film director. Little did we know how deep, rich, and multilayered her story was! Green’s herculean research efforts have resulted in an extremely entertaining, ingeniously told documentary about a woman who should stand with the Lumière brothers, Thomas Edison, and Léon Gaumont as one of the giants of the film industry as the inventor of films that tell stories, the founder of Solax Studios, and the director of hundreds of films. Green’s documentary is a vital corrective to an incomplete and sometimes false history of the industry. Nell Minow: The highlight of this documentary is the footage of Alice herself, witty, energetic, and creative. This recognition of her contributions is long overdue and most welcome. Loren King Any director, but particularly women; any cinephile, particularly women, will revel in this examination of the life and work of Paris-born Guy-Blaché, one of the inventors of cinema, who directed, wrote or produced over 1,000 films, including an estimated 150 films with synchronized sound. Read full review. MaryAnn Johanson Huge kudos to Pamela B. Green for taking on yet another thread of the never-finished job of the constant rediscovery of the achievements and the genius of women. This is such a wonderful tribute to Alice Guy Blanché, so educational and so entertaining, but it’s also exhausting to watch and to be reminded how women are so easily erased from history, and how difficult it can be to rehabilitate their legacies. Read full review. Jennifer Merin Be Natural: The Untold Story of Alice Guy Blache. And it’s a great and inspiring story timely told. Pamela Green’s well-researched documentary starts at the happenstance start of auteur Alice Guy Blache’s cinema career and follows her fortunes as she ascends to the heights of early moviemaking in Hollywood, where she was the first director to actually use moving pictures to tell stories. While chronicling Alice Guy Blache’s circumstances, the film also serves as a fascinating history of Hollywood. Beautifully crafted, the documentary is packed with absolutely delightful archival footage, much of it previously inaccessible. Alice writes, directs, acts, produces. Her skills are awesome. She is an icon of achievement. Yet, her brilliant work and legacy had been set aside, buried and forgotten by Hollywood’s male-dominated market-fueled interests. Director Pamela Green smartly interviews some of Hollywood’s current honchos — both women and men — who knew little or nothing about Alice Guy Blache and her extraordinary transformative filmmaking. This engaging documentary tribute that should change all of that. Let’s help to make it happen with our #MOTW coverage. Marina Antunes The struggle of women in film is a conversation that we continue to have today so it comes as little surprise that the achievements of female creators and groundbreakers in the early years of the medium have long been underwritten or completely ignored. Even so, the oversight of Alice Guy-Blaché’s contributions to film seems particularly egregious. Pamela B. Green’s documentary Be Natural finally gives voice to Guy-Blaché’s achievements. Part detective story and part historical re-writing, Green’s pursuit of Guy-Blaché’s accomplishments and her drive to restore this talented woman’s name into the historical record is impressive. In doing so, Green highlights how history, written largely by men, actively ignored or diminished a woman’s voice and accomplishments and how that false history has continued to perpetuate incorrect information despite new facts coming to light. Essential viewing for anyone with an interest in film and film history. Sandie Angulo Chen: “There is nothing connected with the staging of a motion picture that a woman cannot do as easily as a man, and there is no reason why she cannot completely master every technicality of the art,” Alice Guy-Blaché wrote in 1914 for Moving Picture Journal. And yet, a century later, it’s clear we’re still struggling to accept this fact, and the woman who wrote it had all but been erased from film history, save from the minds of a few academics. As one watches Pamela B. Green’s documentary Be Natural: The Untold Story of Alice Guy-Blaché, it’s difficult not to wonder how someone so seminal to early film as French director Alice Guy-Blaché (the first woman director) isn’t as revered or discussed or studies as male film pioneers. She made 1,000 early films and mastered every aspect of the filmmaking process, including producing, screenwriting, and editing. 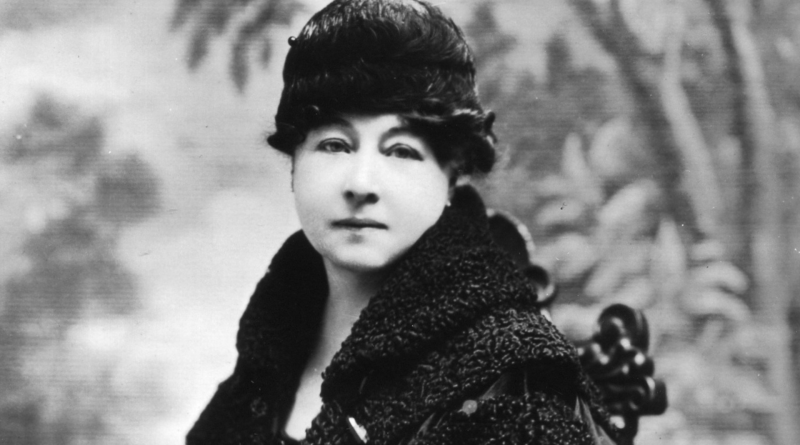 Narrated by Jodie Foster, the film chronicles Alice Guy-Blaché’s life, which goes from inspiring to tragic as a series of moves and personal tragedies — mostly her ex-husband’s fault — ruined her professional life. Then another series of men – film historians, archivists, and critics — mis-attribute her early works. May this documentary correct the injustices done to this pivotal filmmaker’s legacy, simply because she was a woman. Sheila Roberts Narrated by executive producer Jodie Foster, Pamela Green’s well-researched documentary, Be Natural: The Untold Story of Alice Guy-Blache, fills an enormous gap in international film history. Award full review. Cate Marquis Presented in a visually lively style, Be Natural: The Untold Story of Alice Guy Blache goes way beyond merely chronicling the facts of Alice Guy Blache’s life – her innovations, her many awards while working at Gaumont, her marriage to fellow filmmaker Herbert Blache, their immigration to the US where they opened their own movie studio – but gives examples of her films and puts her work in context of both film history and feminist history. Read full review.